Dr Bruce Alexander has devoted his life to the improvement of physical and psychological health. After completing his PHD in Medical Research, he then worked as a medical research scientist, where he and coworkers were able to identify a crucial gene in the development of leukaemia. As an undergraduate student Bruce had a very positive experience with hypnotherapy. Hypnosis had helped to him successfully manage stress of family and self expectations and high pressure exams. Seeking a career change where he could help people more directly, Bruce began training in clinical hypnosis. In 1999 Bruce completed training in clinical hypnosis and psychotherapy at The Australian Academy of Hypnotic Science. Since that time he established Melbourne Clinical Hypnotherapy at Kew Holistic Health and has helped thousands of private clients resolve a variety of physical and psychological health issues. Bruce also has also tutored Medical Students at Monash University and has lectured at The Australian Academy of Hypnotic Science. Dr Bruce Alexander chats with Hughesy, Kate and Dave on Nova Radio. 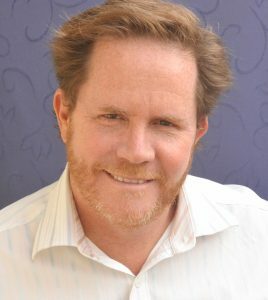 Bruce Alexander is a Full Professional Member of the Australia Society of Clinical Hypnotherapists (ASCH), one of the largest associations in Australia for health and mental health professionals who use clinical hypnosis. The ASCH is a member of the Hypnotherapy Council of Australia (HCA), Australia’s peak body for the profession of hypnotherapy. Bruce works in accordance with the training, ethics and code of conduct requirements of both the ASCH and HCA. Phenotypic effect correlating with loss of a novel tumor suppressor gene: towards cloning by complementation. Cook WD, Alexander BJ. Leukemia. Establishment of multipotential and antigen presenting cell lines derived from myeloid leukemias in GM-CSF transgenic mice. Rasko JE, Metcalf D, Alexander B, Strasser A, Begley CG. Leukemia. Gene deletion explains both in vivo and in vitro generated chromosome 2 aberrations associated with murine myeloid leukemia. Alexander BJ, Rasko JE, Morahan G, Cook WD. Leukemia. Tumor-associated karyotypic lesions coselected with in vitro macrophage differentiation. Alexander B, Berger R, Day LM, Hogarth PM, Feneziani A, Cook WD. Genes Chromosomes Cancer.